The Irish Nurses Organisation send out a regular press release giving a hospital by hospital count of the number of patients on trollies in Irish hospitals. Obviously Mayo General Hospital is of most interest to readers of Castlebar.News. The graph below shows the recent counts for Mayo General and compares these with the national totals. 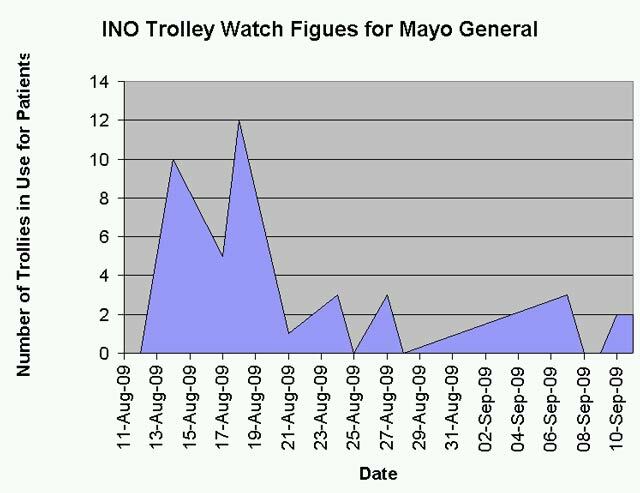 Irish Nurses Organisation statistics for numbers of patients on trollies in Mayo General Hospital. 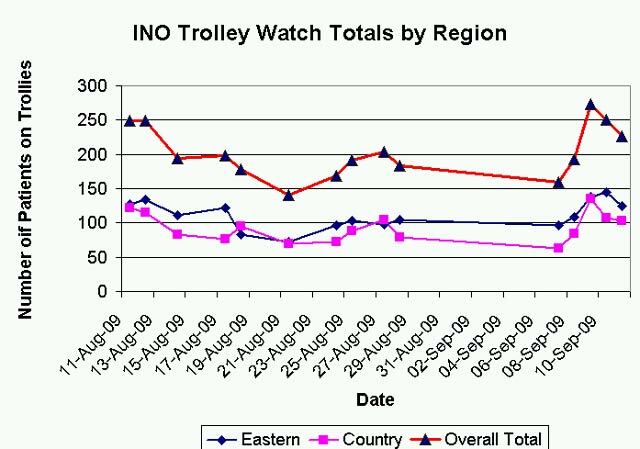 Number of patients on trollies. Totals for Eastern Health Region compared with 'Country' Hospitals and national totals.